When Google released Android O Developer Preview, it introduced a new feature called PiP (Picture-in-Picture) Mode. This allows you to make a floating window of the media you are watching, for example YouTube video. 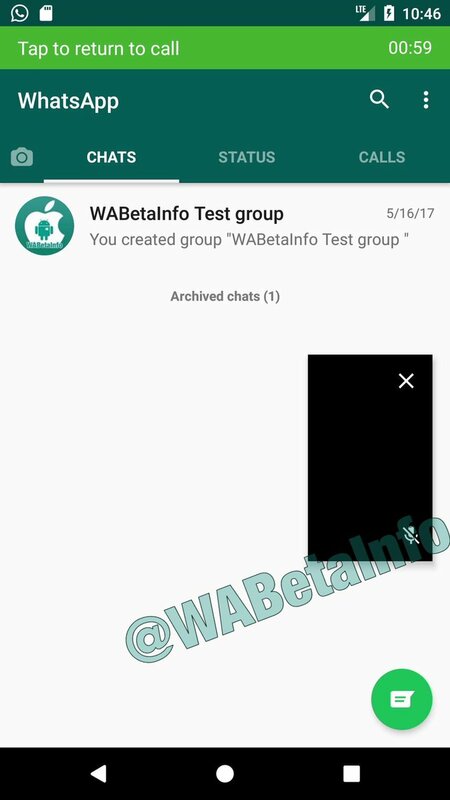 Recently, WhatsApp updated their beta version to 2.17.265 which brings the same feature, one that is enabled by default for those devices that are running the Android O Developer Preview. The feature would let you minimize the video call window into a smaller window so you can keep your video conversation going while answering another WhatsApp conversation. What do you think about this new feature and would you use it?